Here we are again talking about funnybooks! Unless I get overly lazy every week I will post a list of the titles that will hit stores on Wednesday. This list is taken from my invoice so there will be some indy titles that aren’t on here. Six HUNDRED issues. That is a milestone that very few comics have managed to achieve and the majority of those who have hit that mark are DC books as they don’t feel the need to relaunch with a new #1 as often as Marvel. This week we get two Marvel books that are at the issue 600 mark; Amazing Spider-Man and Incredible Hulk. I’m still a little confused as to how these books achieved this. There has been a lot of creative numbering by the folks at Marvel for a while but with this year being the 70th anniversary of Marvel and so many books having the ability to be 600 issues strong I get the reasoning behind it. More importantly (to me anyway) this week marks the long awaited return of Darwyn Cooke. For those who don’t recognize the name (and really, shame on you) Cooke produced one of the best pieces of graphic fiction I’ve ever read with DC New Frontier and then went on to breathe new life into The Spirit. 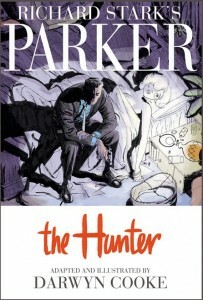 This time he’s adapting the “Parker”series crime novels by Donald Westlake for IDW. I’m not a huge fan of crime fiction but after reading New Frontier, Spirit, Catwoman and a few other things I decided that if Cooke’s next project was done with crayons on paper bags I would pick it up. I can’t wait to get my hands on what is sure to be another instant classic from Darwyn Cooke. This entry was posted in Comics and tagged Comics, Darwyn Cooke, Spider-Man. Bookmark the permalink.